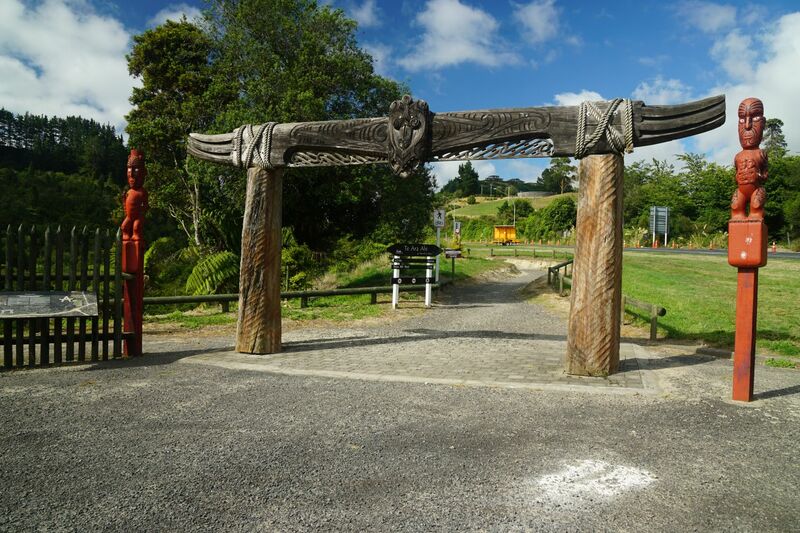 The entrance to the Hemo Gorge Trail at the southern end of the southern Te Puia car park, accessible from SH30 near the intersection with SH5. There is an information panel on the left. 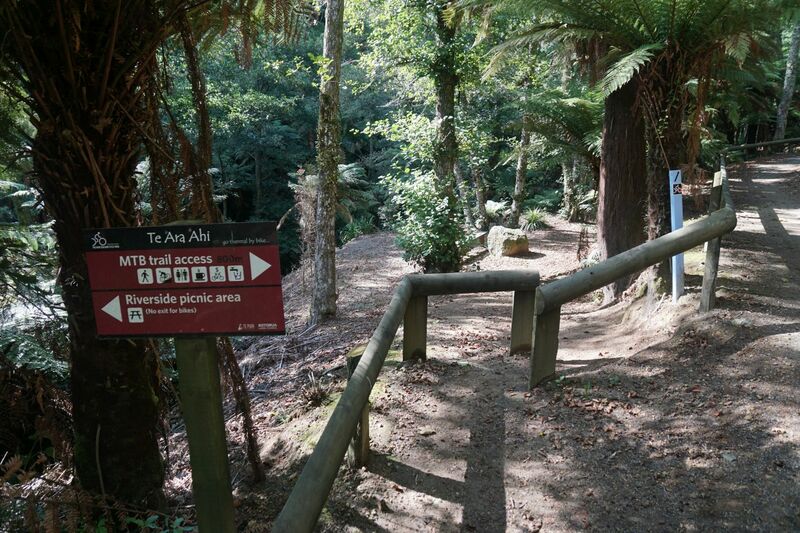 The trail is not named here, but is generally known as the Hemo Gorge trail or the Puarenga walkway. The start of the cycleway/walkway. SH5/SH30 can be seen on the right. 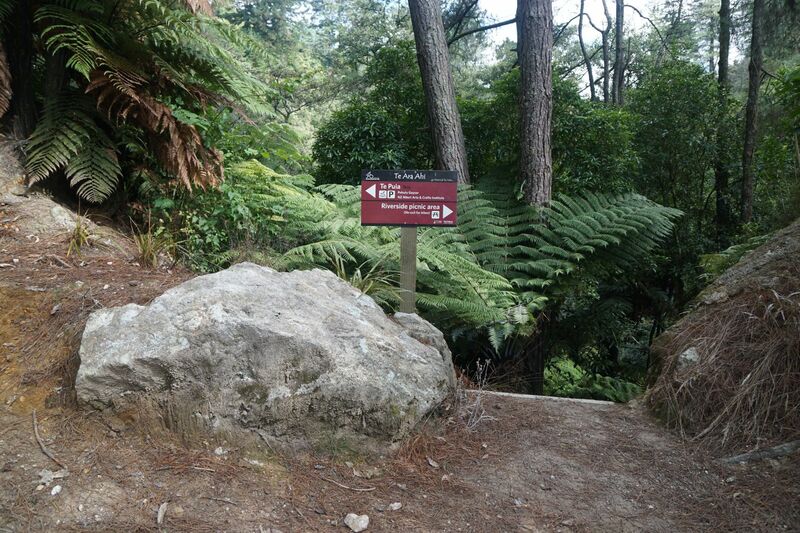 The trail starts with a zig-zag descent into the gorge, before continuing through open scrub to regenerating forest. 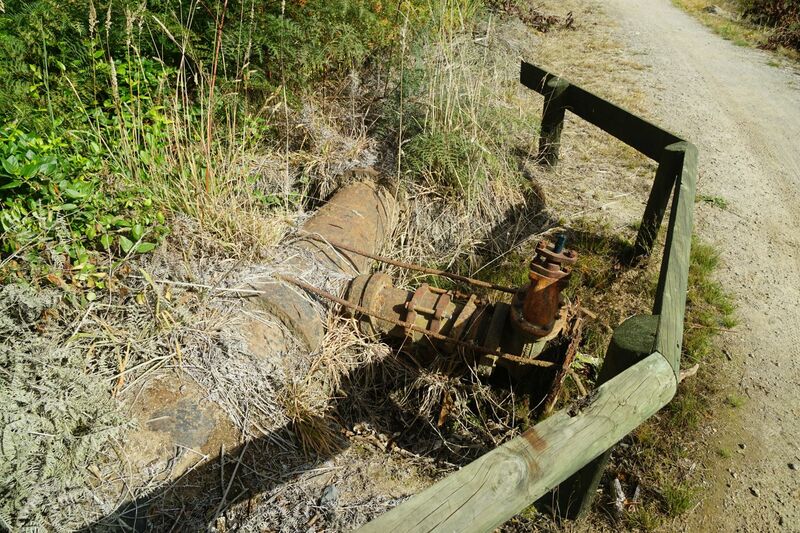 Remains from Rotorua’s early water supply can be found along the track. An old pumphouse building. 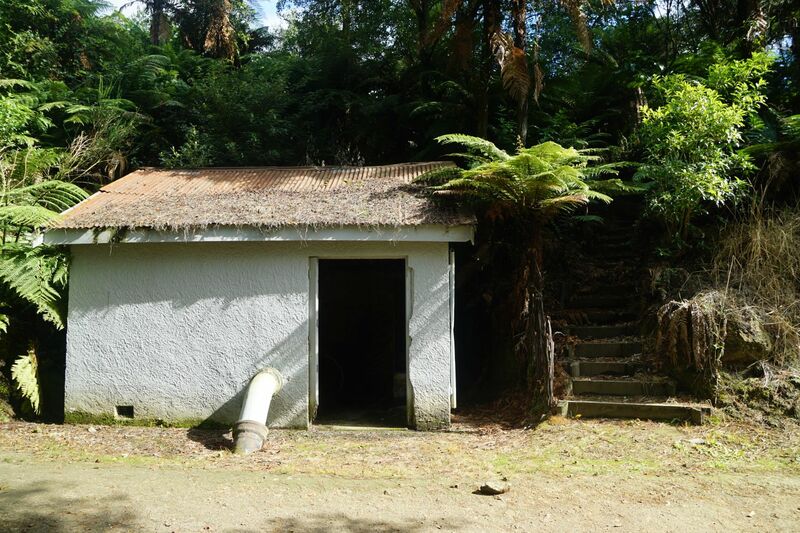 Steps and a short track to the right lead to another pumphouse and a lookout with views back to Rotorua. 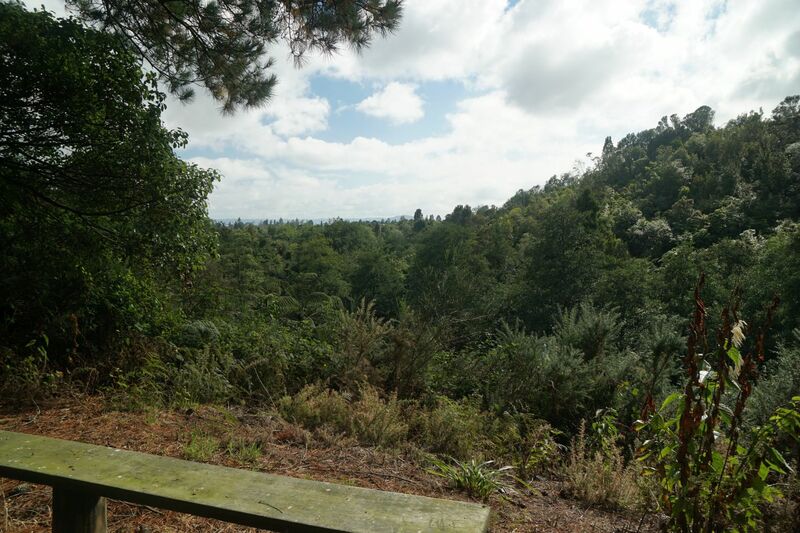 Vegetation blocks out most of the view of Rotorua from the lookout. 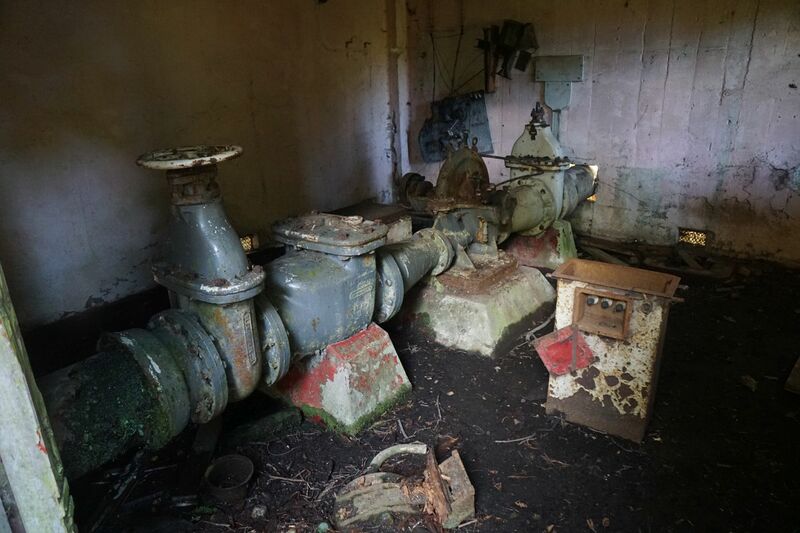 The lookout is adjacent to another old pumphouse, with some of the contents still intact. 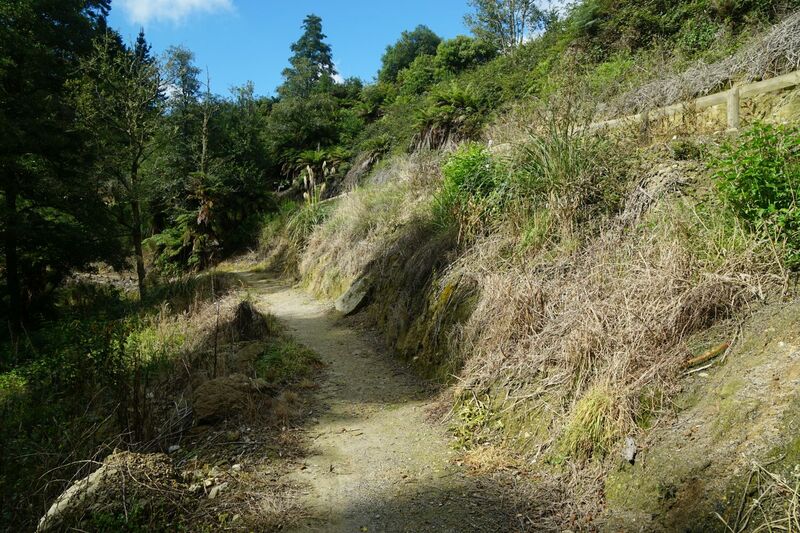 The track follows alongside Puarenga Stream. 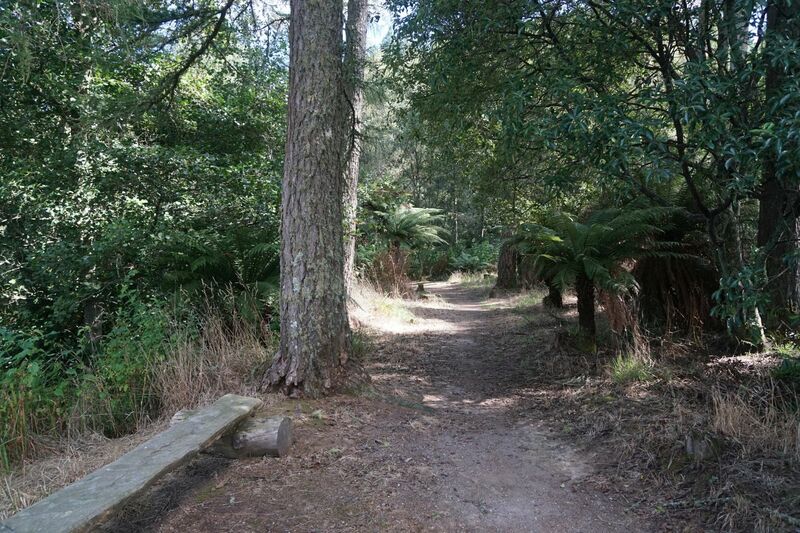 The stream can be heard, but is not visible from the track, until the walking track branches off from the cycle trail, to a small picnic area. 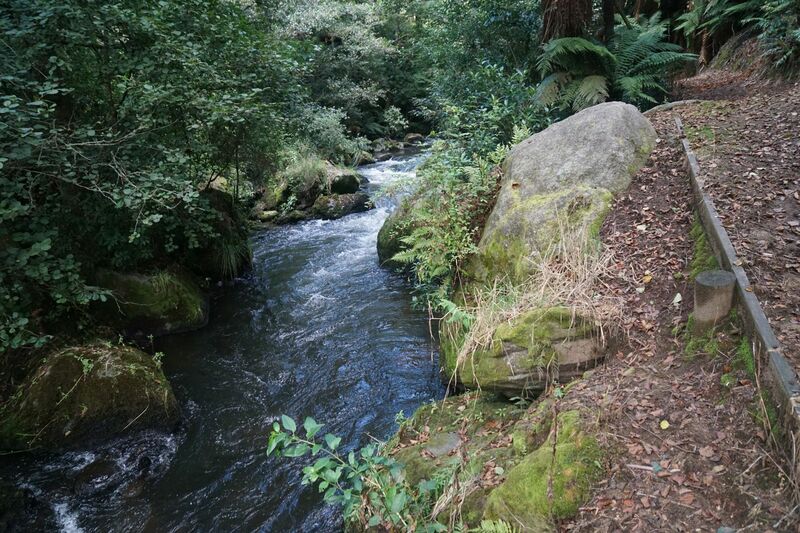 Puarenga Stream by the picnic area. 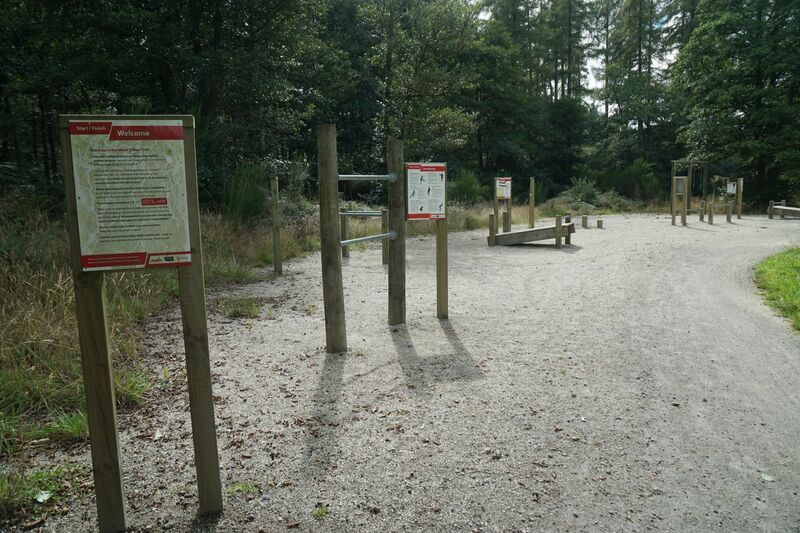 The walking track continues in the upper right corner alongside the cycle trail. 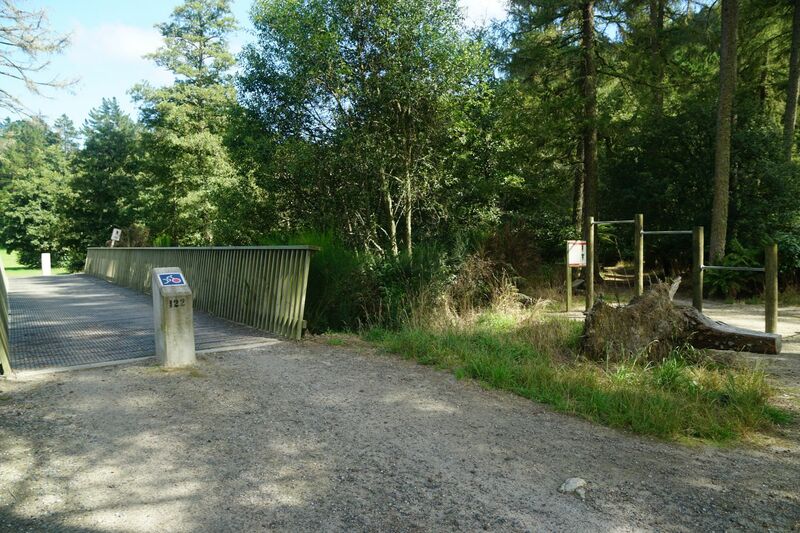 The walkway follows the stream, with the cycleway behind the barrier at upper right. Several small side tracks lead down to the edge of the stream. The walkway joins back with the cycleway on a short set of steps. The walkway separates again for a short distance. 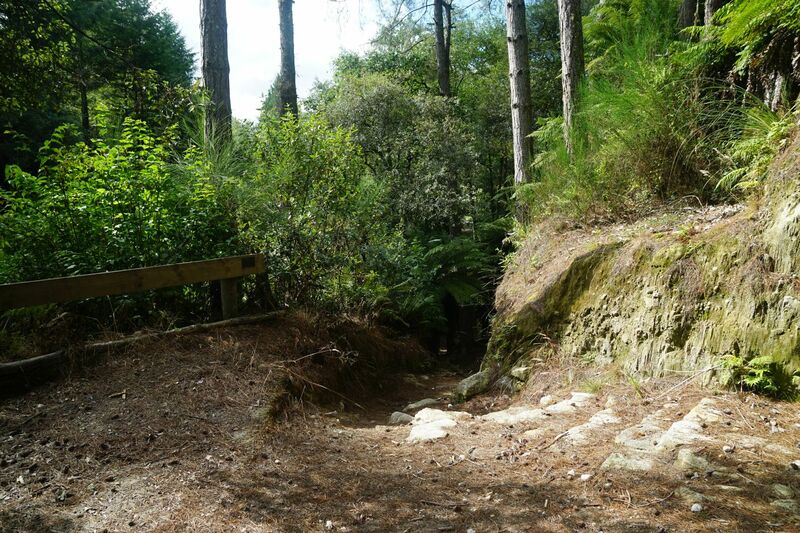 The end of the walkway/cycleway at the Waipa Mountain Bike park. Continue along the track to the bike park, toilets, etc. Equipment has been set up alongside the track for stretching and other exercises. 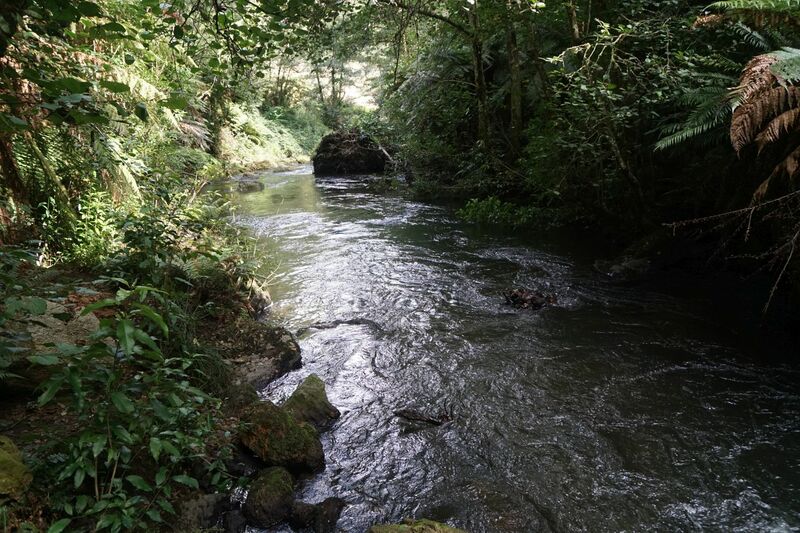 At the far end there is a bridge over the Puarenga Stream. Another smaller exercise area is located at the other end of the bridge. A track through trees branches off here behind the exercise bars, leading to an information panel, toilets, and the bike park. 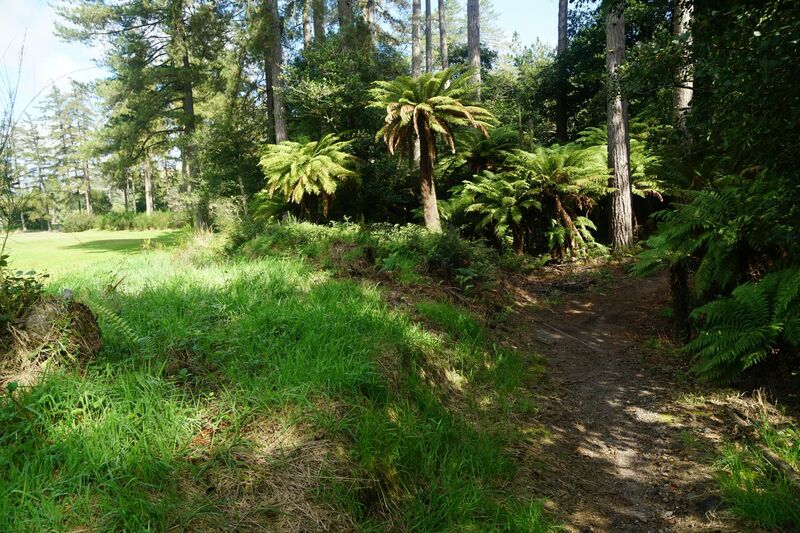 The track through the trees is an easy walk. The end of the track near the information panels. 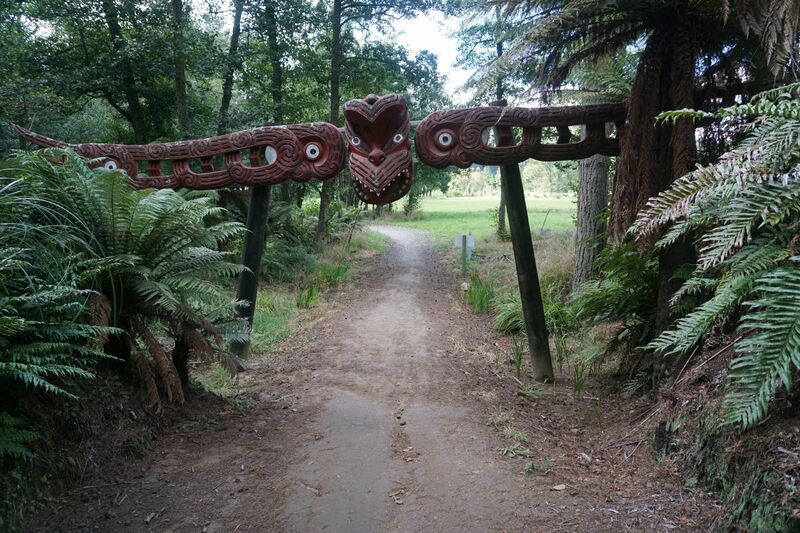 The track was walked in both directions, starting and ending at Te Puia. On the walk from Te Puia the walking track alongside the river and side tracks to lookout and the stream were taken, and on the return the cycleway was followed. 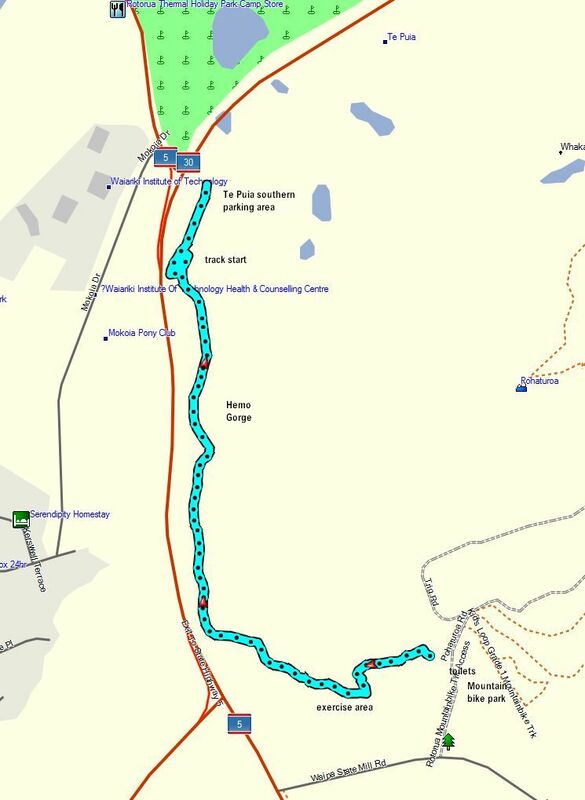 The GPS tracklog shows the return walk, through the trees to the exercise area and then the cycleway back to the Te Puia car park. 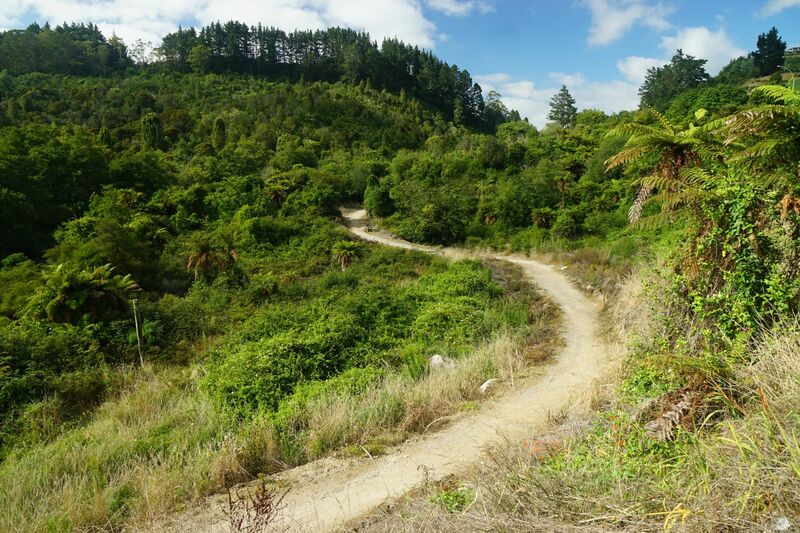 The track consists almost entirely of gentle slopes, but with a few steps on the side tracks. 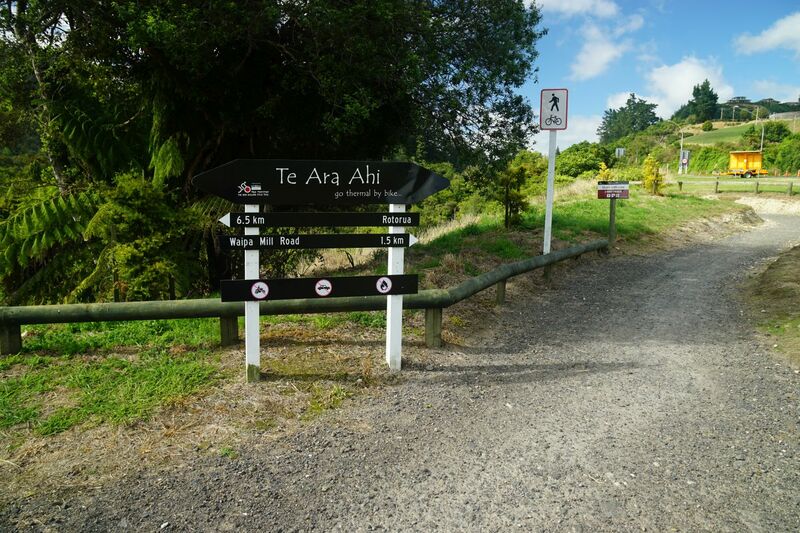 The walk from Te Puia to the bike park, including the side tracks, took 36 minutes and the distance was 1.9 km. The return along the cycle trail took 21 minutes, with a distance of 1.6 km. 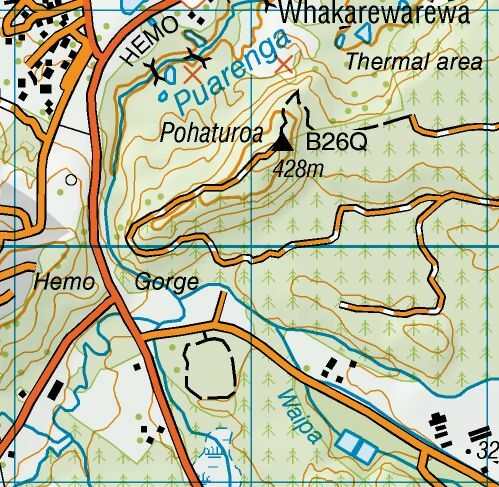 The topographic map excerpt shows the area around Hemo Gorge. 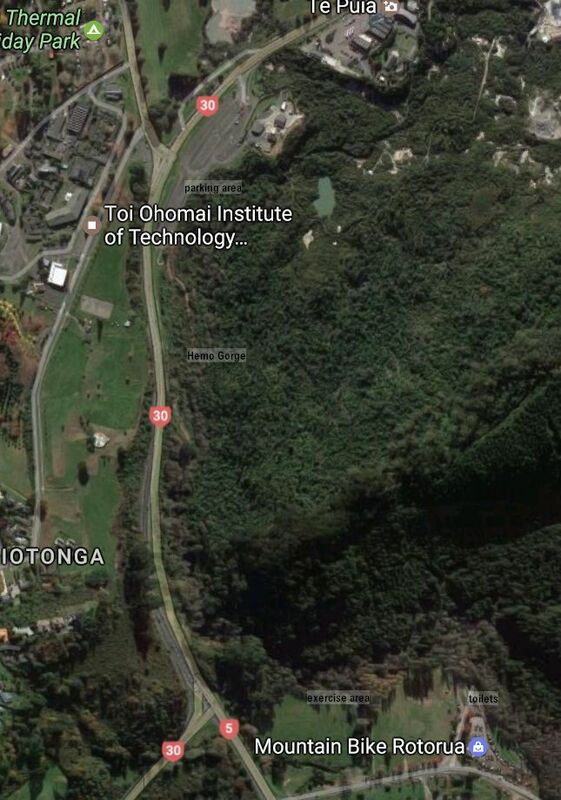 The aerial photo, taken from Google Maps, shows the same area. The track was walked on March 3, 2017.